The Twins got the sweep in their first meeting with Kansas City today, getting another comeback win for a final score of 7-6. Yet again the Twins showed the fight they had in them that you just didn’t see last year. Kyle Gibson made his season debut today and rolled through 4 innings very easily. It wasn’t until the fight where he started to struggle. After getting two outs in the fifth, the inning went walk, single, misplay by Adrianza, 3 run homer, error, single, single, pop out resulting in a 5 run deficit. The Twins would show the fight they needed and got a run back in the 6th and then tied the game on a Kepler single in the 8th. The 9th inning started quickly with a single from Cruz who was pinch run for by Byron Buxton. Of course Buxton stole second right after. Rosario singled on a 3-2 pitch to give the Twins the lead. The save went to Blake Parker who came in with two outs in the 9th to relieve Trevor May. The Twins are good. Notes: The Twins had their second comeback win in a row today and have already shown the fight they have. It never looks like a game is over with this team. Gibson’s outing wasn’t too solid but the bullpens was. Mejia, May and Parker combined for 4.1 innings giving up one hit and zero runs. The bullpen has combined for 16.2 innings only giving up 5 runs and three were from future starter Martin Pérez. 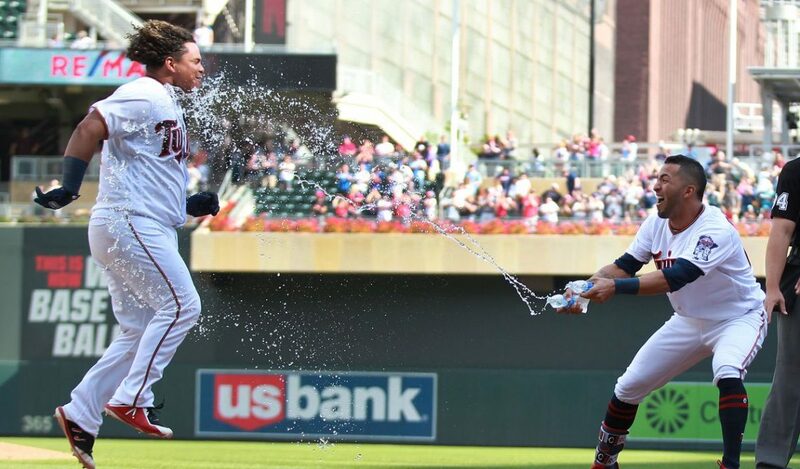 The twins played all 5 of their bench players today (Astudillo, Cave, Garver, Adrianza and Austin) and still came away with the win. They actually went 7-16 and drove in 4 of the runs. It’ll be interesting to see how Baldelli keeps putting them in the lineup. The team did very well with RISP today, going 5-9 in the situation. That played a huge role in getting the Twins their comeback victory. Your daily Astudillo note: La Tortuga did it again! He went 3-5 with a double and a run batted in while also scoring 2 runs. He’s a machine who played third base and left field today! Now for the player of the game! Willians Astudillo wins it again because of course he does. The turtle is on a roll and it doesn’t look like it’s stopping anytime soon. Follow my Twitter @MnTwinsTalk18 for these daily polls.